Has Gender-Based Affirmative Action Achieved Its Objectives? 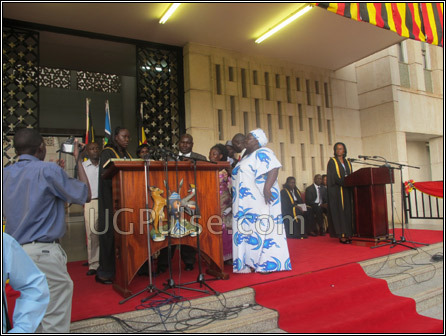 New MPs swearing in at parliament. There have been increasing voices arguing that affirmative action should be abolished to let women compete at an equal footing with men. Political representation for special interest groups through affirmative action has been one of the big issues Ugandans have been thankful for about the current government of President Yoweri Museveni. For many Ugandans however, affirmative action is known for enabling women get special treatment to become part of decision making bodies or benefit from government programs like government scholarships. Affirmative action has been credited with having been responsible for enabling a larger number of women to enter, and other interest groups to join, decision making organs including the Parliament of Uganda, district and sub-country councils. The 1995 constitution requires every district to have a woman representative to the national parliament, and sub-countries to have a woman representative to the district council. The Local Government Act 1997 provides for one-third of the seats on each local council to be reserved for women. The Act also provides for affirmative action with respect to other marginalized groups (people with disabilities, youth, the aged, etc) in the composition of local councils. These provisions have resulted in a significant increase in the number of women in political decision making at the different levels of the local government (i.e district councils, sub-county councils, city division councils, municipal councils, municipal division councils and town councils). While some women rights activists say affirmative action has empowered women and should continue to be promoted, there have been increasing voices arguing that affirmative action should be abolished to let women compete at an equal footing with men. 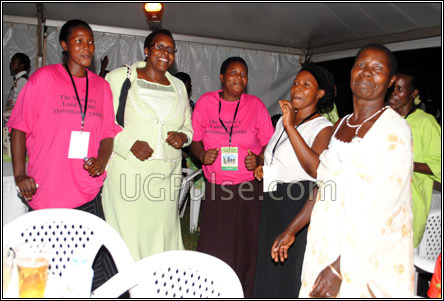 “Even though patriarchal attitudes and practices have by no means been eliminated, it is evident throughout the country that there is increased awareness and broad acceptance of women as leaders,” ,” says Elizabeth Kharono, a women rights activist who carried out a review of Uganda’s affirmative active policy. She says affirmative action has contributed to making the political landscape in Uganda richer and more diverse. “Increased participation of women in politics and decision making has also greatly increased their skills and self-confidence and built their capacity as legislators and leaders. This increased capacity has become evident in Parliament by the number of women who are currently chairperson or vice-chairpersons of different Parliamentary Committees. It is also reflected in the increasing capacity of women in Parliament to promote gender-responsiveness of government and other national level players,” Kharono says. Some people believe that women are empowered and there is need to advocate for parity because affirmative action make women lazy. “There is no need for affirmative action now. Women are empowered and can now contest favorably against men in any elective office,” says Salaam Musumba, the Vice President of Forum for Democratic Change for Eastern Region. Musumba who once competed with men and represented Bugabula South in parliament believes that affirmative action makes women lazy and should be scrapped. She says women have to fight for their empowerment and avoid demanding to be empowered directly because they are women. Like Musumba, Bukooli South Member of Parliament Patrick Ochieng also says women should work hard instead making demands to be given special attention. He says it is unfair for women to continue demanding for more powers in a manner he calls intimidating". He says women have made demands that are hard to fulfill and refers to a proposal by women activists to make political parties have 40% representation at their national leadership for women as affirmative action. This was one of the minimum demands by women as the country transited to multi-party democracy. He says this cannot be possible because parties want to elect quality leaders not subjecting electoral party process to affirmative action. Ochieng says women should stop making demands to be empowered and instead work hard to empower themselves. He says it is only elites who have benefited from the affirmative action because it has only benefited the already rich and elite women. “How has it empowered women at the grass root?” he asked. However most women activists are entirely convinced that affirmative action has helped women to rise from poverty to speak out about issues that affect women generally and afford basic needs for their families. Sarah Kiyingi, the former MP Rakai district Woman Member of Parliament says affirmative action has not yet achieved its intended goal of having women empowered in political, social and economic areas. “Affirmative action was intended to have women visible in decision making process. So have we achieved that? I don’t think so,” she said when we interviewed her. She says if affirmative action was not introduced, Ugandan women would not be like they are today. “Many [women] would have been sidelined in all areas let it be politics or any other field, but affirmative action has helped women to come up and freely interact in society and participate in politics,” she says. Professor Victoria Mwaka one of the leading women activists and founders of Makerere’s Women and Gender Studies Department agrees with Kiyingi and refers to the introduction of 1.5 points to enable girls access university education in government universities, which has helped all female students despite their family backgrounds. She says this has helped to increase the number of females joining and graduating from the university. According University statistic female enrolment has increased from 19% to more than 48%, with females the majority in most humanities courses. She however says that women at the grass root may not be benefiting directly like those elected to Parliament but they access information and advises from their representatives in different areas which she says has helped them to form groups and projects which they are benefiting from. “When I was working as Member of Parliament for Luwero, I helped women in Luwero to set up projects that have improved their incomes,” Prof. Mwaka says. She refers to ‘Nnigiina’ (women groups) as one of the products of affirmative action, which she says has helped organize and benefit women at grassroots. Prof. Mwaka says such projects have stabilized family incomes and now men are joining them because they are yielding good results. As a result of affirmative action, Mwaka says, women have money and information to effectively apply family planning measures, which she both attributes to empowerment of women. “They have money to buy family planning pills and know when times they can conceive,” she says. Women groups in the villages teach wives on reproductive health, which encompasses how to handle menstruation and avoiding pregnancies with out using contraceptives. It is true women have been enlightened about their rights and girl education is now supported by both government and civil society organizations, but economic empowerment at the grass root still remains the main challenge women leaders and activists. Mwaka is worried that if affirmative action is scrapped women will go back to where they were before because they have the impetus now to fight and live on their own. There are also widely held concerns that affirmative action continues to be viewed as a gift of the current government to women, and can thus be taken away anytime if the women do not support the current government. Kharonois concerned that although the law providing for the establishment of the Equal Opportunities Commission was passed by parliament two years ago, the commission is yet to be set up, yet it is this commission that is supposed to monitor and review the affirmative action policies of the country. “Confusion about women’s representation both at the national level and at the local government level has persisted over the years. At the national level, confusion over the woman as opposed to women’srepresentative and whether they represent women or everybody in the district has never been resolved,” she says. This provision indicates that the intention of taking affirmative action is to redress (the) imbalances which exist against marginalized groups. Has the marginalization ended to necessitate affirmative action to be stopped? And which affirmative action should be stopped? Some people are opposed to women representatives due to affirmative action, but other groups like the disabled, workers and youths also benefit from affirmative action slots. “Representation of women and marginalized groups in Parliament and on local government councils is a short-term measure to increase their numbers in political decision making structures at the national and local level,” says Kharono. She says the aspect of affirmative action relating to representation in politics and decision making has tended to overshadow other aspects of the affirmative action policy. “Affirmative action is a long-term measure aimed at redressing imbalances caused by history, tradition and custom. The formula for representation of marginalized groups, on the other hand, is a short-term measure, which is supposed to be reviewed after 10 years, and thereafter, every 5 years to determine whether it should be retained, increased or abolished,” Kharono says. Although the 8th Parliament voted at its end to extend affirmative action for another five years, the issue will once again be on table at end of this 9th parliament and Ugandans have to decide whether affirmative action should continue or not. Uganda women rights activists after a meeting. 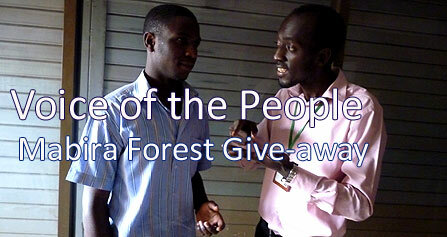 Risdel Kasasira is a graduate Journalist who reports for Ultimate Media Consult. He has worked for The Daily Monitor, Radio Uganda and has done several communication related consultancies. He is also the Research Executive at Ultimate Media Consult (U) Ltd.
From Boston to the beautiful hills of Kigezi, Ruth Bahika's GRACE VILLA - a nurturing safe haven for vulnerable girls. "You're safely home". Please go to the link below and vote for Grace Villa Kabale a new home for girls. 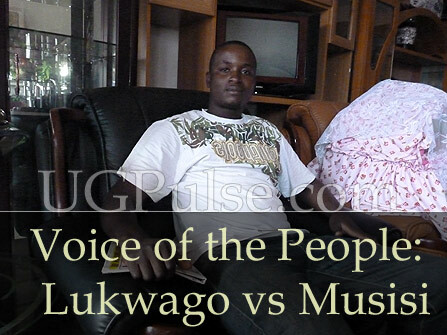 Do the majority of Kampalans agree with Lukwago, that the Office of the Mayor should be above that of the newly created Executive Director held by Musisi?. As President Yoweri Museveni continues to insist on giving away part of Mabira forest to Mehta for sugarcane growing, Ultimate Media interviewed a cross section of people in Kampala to get their views. Zakaria Tiberindwa asked some Ugandans on what they think about this trend of President Museveni handling every concern and issue that any group comes up, and below are excerpts. Events in Uganda in the past few weeks. GayUg Teen, a 'virgin' teen homosexual blogs about growing up in homophobic Uganda while Dr Margaret Mungherera tries to explain the meaning of sexual orientation. Different Ugandans express their views on homosexuality and the proposed Anti Homosexuality Bill.